It is day forty of the 40 bags in 40 Days decluttering challenge. You made it to the end!. But maybe it is just the beginning. It’s day thirty-seven of the 40 Bags in 40 Days decluttering challenge. I haven’t forgotten about all of you. 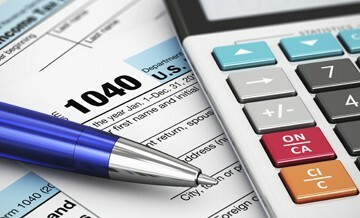 You may know that one of the services that Livable Solutions provides is bookkeeping. I work for many regular clients helping them manage paperwork, bill paying and helping prep their paperwork for the dreaded tax season. Thus, I have been a little busy this week with my last minute filers. It is day thirty-two of the 40 Bags in 40 days challenge. What a beautiful weekend to tackle a garage, basement or declutter the yard! Or, did you spend the weekend enjoying the fresh air and re-balancing with family time? It is day 30 of the 40 Bags in 40 Days Decluttering Challenge. Today I get to share with you one of my own projects. My guest room closet is my space in the house for my hobbies/memories. The room used to be my home office until shifting things for a second kid. Since then it has slowly become a disaster area for memorabilia and my personal craft supplies. It is Day Twenty-Nine of the 40 Bags in 40 Days Decluttering Challenge. Are you still feeling motivated? Do you have a lot more to accomplish on your list? It is day twenty-seven of the 40 Bags in 40 Days Challenge. I have been so impressed with all of the wonderful before and after pictures I have seen. Keep your updates coming to kristin@livablesolutions.com. You are all doing such interesting projects. It is day twenty-five of the 40 Bags in 40 Days challenge. Are you sticking to your goals this week? We worked on cleaning out our garage and shed on this beautiful day. 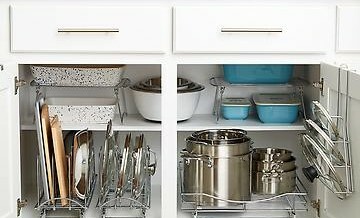 Today I wanted to talk about the simplicity of having matching sets in your house. As you have been going through your items are you discovering that you are missing glasses or silverware. Are your towels or sheets missing one or two pieces to complete the set? Today is day twenty-two of the 40 Bags in 40 Days decluttering challenge. Has giving up what you don’t need to someone who does made your heart swell? My heart swelled today when I received an email from one of our participants. 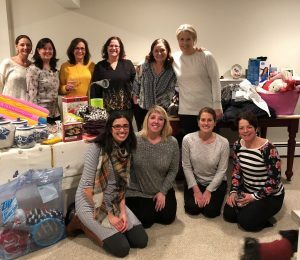 She and her friend, who as also been in contact with me, made the decision to donate their wedding dresses to the Cradling Threads Project, which I talked about on Day Eight of the challenge. It is day twenty-one of the 40 Bags in 40 Days Challenge. The weather is getting warmer. Are you thinking of any projects outside as part of your organizing? 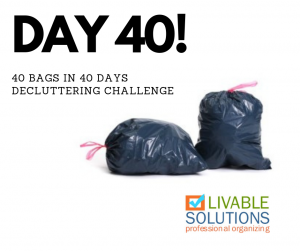 Day Twenty: 40 Bags in 40 Days Decluttering Challenge – Are you Proactive or Reactive? It is day twenty of the 40 Bags in 40 Days decluttering challenge. You are half way through! Have you accomplished fifty percent of your project goals? It is amazing how fast time can go. I am sure some of you wish you accomplished more in this time. Perhaps there were set backs because life can get in the way.